Scottish Fighting Championship (SFC) today announced that Paul Reed will not be participating on the upcoming SCF 5 card “Rivals”, which will take place on December 3rd at Kelvin Hall in Glasgow. Reed has other duties, and cannot battle John Cullen, a rematch that both fighters have been eagerly looking forward to. 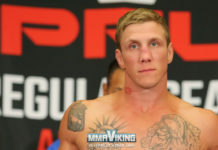 However, officials from SFC have informed MMA Viking that Swede Martin Svensson has been tabbed to replace Reed, and will take on Cullen for the SFC Featherweight title. This exciting bout will be between two top European fighters that have both already faced Reed. Reed fought to a draw with the Scot at SFC 3 in a classic battle that went an extra round in late 2010, and then lost a disputed majority decision for the title against Svensson at The Zone FC in May. 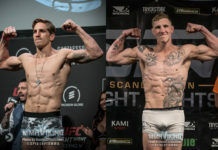 In the other title bout between a Swede and a Scot, Swedish prospect Jonatan Westin will face Steven Ray from Scotland for the SFC welterweight title. Ray is a veteran of SFC and has a promotion record of 4 wins and 0 losses, with an impressive 8 – 2 – 0 record overall. Jonathan Westin has stopped his last three opponents, after suffering a loss in his debut. 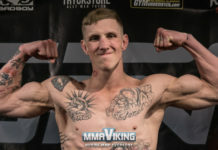 The strong and athletic Stockholm Shoot fighter looks to make a name for himself with a win over Ray, who himself is hot off of an impressive victory over fellow Scot John Quinn (8 – 2 – 1). In the third title bout, the SFC Lightweight Title match will be between Bobby McVitie (Team Viper) and Marcos Nardini ( DNFT). 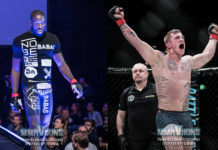 In other action, at 65kg the event will also showcase two additional prospects as Doni Miller (Griphouse) faces Sweden’s Carlos Prada. 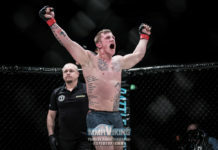 Officials from “Scotland’s number 1 MMA event” have told MMA Viking that Reed will take on the newly crowned featherweight title holder on an upcoming card, as Reed has “unfinished business with both Svensson and Cullen”.